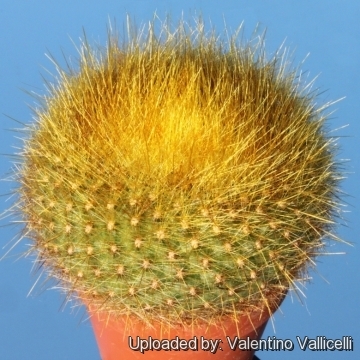 Description: Parodia haselbergii subsp. graessneri (a.k.a. Brasilicactus haselbergii, Notocactus haselbergii) is a medium- sized solitary, fast growing cactus closely resembling Parodia haselbergii, but has as many as 60 radial spines. The spines are pale to golden yellow, occasionally brownish or nearly all white, to 2 cm or more. The flowers are small yellowish green to almost truly green, while those of Parodia haselbergii are orange-red to bright red. 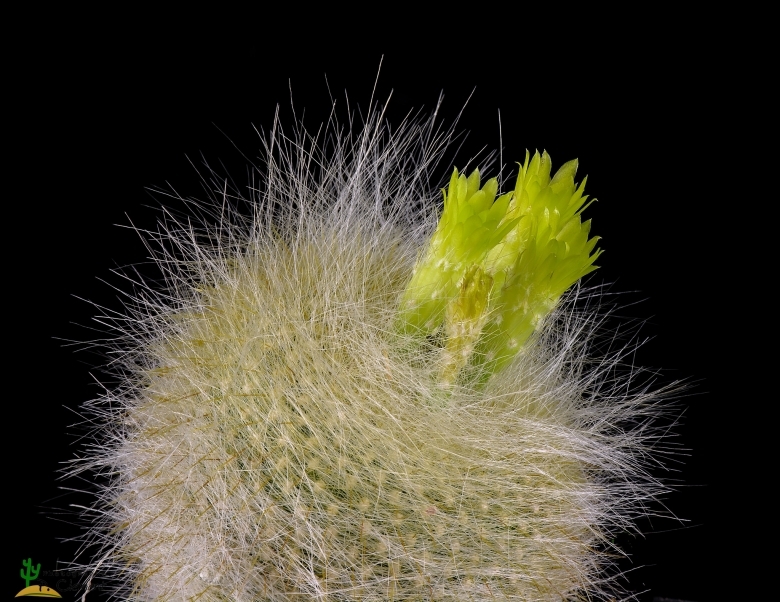 These cacti are self-fertile, do not offset, and have a very short floral tube. They are among the earliest Notocacti to bloom in the spring. As with P. graessneri, the growing centre tends to be on one side of the stem. Areoles: With a short yellowish-white wool, they are arranged geometrically. Spines: It has as many as 60 pale yellow to golden yellow spines up to 25 mm long, of which the 5 or 6 centrals are thicker, soft and bristly. Occasionally the spines are brown or near white often with darker tips. The white-spined form may be confused with Parodia haselbergii when not in flower. Flowers: Small yellowish green, up to 2,5 cm long and 2 cm wide and each can last one to three weeks. Petals semi-erect spreading and not closely surrounding the style, the stamens visible. Tube relatively long with clusters of bristles and some wool. It is self-sterile. Blooming season: It flowers at the end of the winter or in early spring for a long period of time (It can last blooming to two months!). Will start flowering around 5 cm in diameter. Golden yellow or orange flowered varieties are also mentioned in cultivation. Seeds: 1 by 0,5 mm, bell-shaped, widest at the hilum, reddish-brown. Cultivation and Propagation: Parodia haselbergii subsp. graessneri is an easy to grow tropical cactus.